Pegasus Charters operates the largest and most spacious fast charter vessel from the famous Cobb harbour at Lyme Regis. 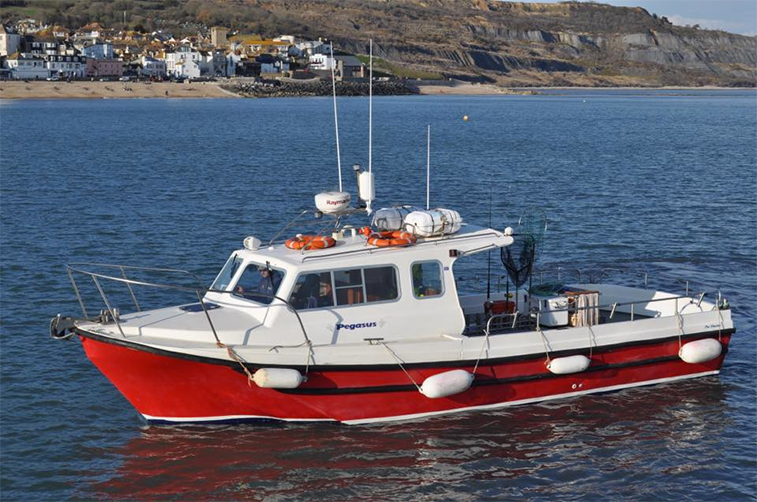 Pegasus is owned and skippered by Lewis Hodder who has years of experience fishing in and around Lyme Bay, Dorset and is known for putting anglers on the fish. 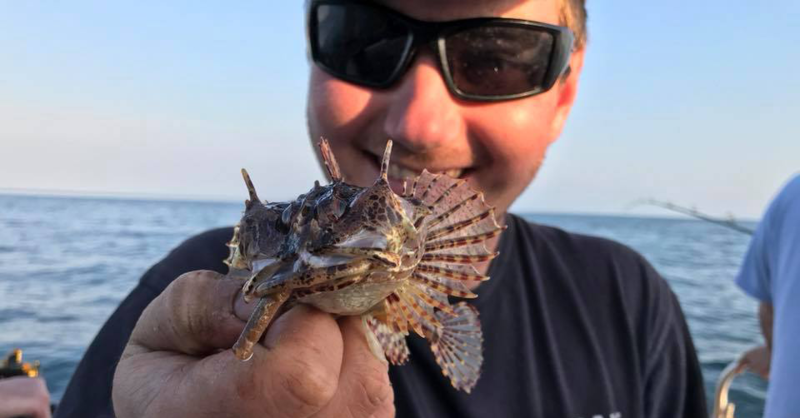 Whether you are a novice or an experienced angler, looking for a 1-hour excursion or a 10-hour offshore wrecking trip, we run all types of deep sea fishing and scenic boat trips. Our fishing boat can also be chartered for other types of work including survey/safety vessel, crew transfer, towing operations, light cargo work, photography and filming from Lyme Regis. Lewis combines his skill as an experienced angler with his extensive knowledge of Lyme Bay. He is a fully qualified skipper and has gained vast experience working on various commercial and charter vessels operating out of Lyme Regis. Pegasus is a 36ft offshore pro-charter boat built in 2004. Spacious heated cabin with full electronics, micropwave, fridge, hot drinks and onboard WC facilities! Pegasus carries high quality rods, reels and an endless supply of terminal tackle, lures and bait supplied by The Tackle Box. Nice day on the wrecks yesterday, bar the fog! Nice few Pollack and 4 Bass (first of the year) which was good to see. Nothing big best Pollack about 9lb.